As Spring nears It's time to consider brushing up on your frog calls, either for personal fun or so that you can help with amphibian surveys. There's nothing like being able to pick out specific species of frogs by their calls. It's like learning the notes of music. Now I'll admit that I'm rusty, every year Spring rolls around and I find myself dragging out the ear buds and MP3 and practicing. I usually get a whole bunch wrong, but it's fun relearning. Let's refresh on the basics. Most often it's only the male frogs call, and calls are species specific though there are dialects by region (croak, croak, croak yall). Dialects allow males to self-sort and avoid competing with males from other areas that are far away or outside their region. Male frogs call to attract mates and to advertise their fitness to females. Mostly mating is done at night under cover of darkness so frogs use vocalizations instead of visual displays. Calls are produced in the larynx and are amplified by one or more vocal sacs. These sacs are thin membranes of skin that are either directly under the chin or extending from chin to mouth. 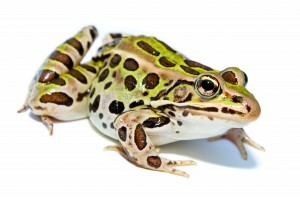 Female frogs may respond to the males to encourage their advances with short croaks or other sounds (some females object quite vocally if they don't find the male's advances desired). When many frogs call at once it's called a "chorus." Choruses can be quite loud, and the pitch and loudness may increase if there is heavy traffic or noise nearby. Male frogs conserve energy when rivals are not near-by and they have "low energy" calls that simply establish their territory. When competition is high they expend more energy to call more loudly, but what is unique is that they call in a species specific pattern with the other males. This allows all males to be heard without being completely drowned out. 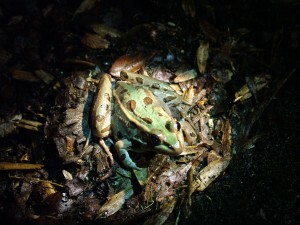 This type of cooperation is a unique strategy in the animal kingdom shared by vocal insects and frogs (for those with a mad pash. for reading scientific papers check out this doozy on the call-timing algorithm of the white-lipped frog). There are probably multiple reasons for this strategy but most likely it has to do with increasing fitness by decreasing energy expended calling, because everyone gets a chance. Now let's get on to the resources you need to brush up or even learn frog calls for the first time. There are a few things you might find useful before you start. First, invest in a nice pair of ear buds or head phones. For those with pets this is especially critical. I've had cats come flying in from all parts of the house because they hear my birds or frogs chirping away while I'm trying to learn the calls (it's distracting when they're climbing around on the stereo stalking like mighty jungle cats and swatting at the speakers). 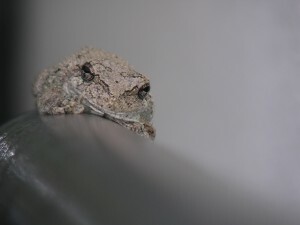 I find metro riders are also less than enthusiastic with frog calls too. Next, decide how you're going to learn. I have MP3s downloaded on my phone and computer and I also learn by taking online quizzes. If you're not so tech savvy then consider a CD player and books. I'll provide links for all of these resources below. There are only two or three good low-tech resources out there to learn frog calls but they are tried and true. I've included links to where you find them on Amazon. The Frogs and Toads of North America: A Comprehensive Guide to Their Identification, Behavior, and Calls. Lang Elliott, Carl Gerhardt, et.al.($14). I like this book because it's quite comprehensive, covering the basics of family groupings, behavior, observation, catching, etc. The CD is quite extensive and useful, with ways to use mnemonics for remembering the calls. The only draw-back is that it's not region specific and you have to figue out which frogs and toads you have near you. There are 101 species covered in this book/CD! This price is reasonable and worth the investment. The Calls of Frogs and Toads. Lang Elliott. ($18) Lang Elliott also put together this book, which is a spin off of the book above, with similar diagrams, photos, and a CD with calls. The major difference is that it's a much smaller book, with only 35 common frog species covered. However, it's a great place for beginners that might be overwhelmed by the larger book and CD. It's ironic that it's about 1/3 of the size and content for a bit more money! CD: Sounds of North American Frogs. Smithsonian Folkways. ($12). This is purely a collection of sounds, with minimal narration in between. It's produced by the American Museum of Natural History. You can buy the disc as a whole set, or if you like you can download specific MP3's on Amazon's website. This gets a bit expensive at $.99 a call, but might be useful for those looking only for specific calls. There are 92 tracks on the CD with several choruses of single and mixed species. If you are somewhat computer savvy one of your best options is the USGS Frog call "Lookup" and quizzes. This site has it all, you can listen to specific frog calls (look up frogs by common or Scientific names) and then take state specific quizzes of frog calls. For the quiz you choose your state and on the bar at the top of the next page select "public quiz" (there are site specific quizzes too but you need a log-in for those). They start you off with a list of common species (common and scientific name) and they have you do a "sound check" on your system to make sure you can hear the calls (I had to install QuickTime to be able to continue the quiz but they provide a link for you). They will give you a sound clip of a chorus of frogs and you choose which frogs you hear. If you're an Android user you can use Google Play to install the Frog Sounds App. on your phone. It comes with photos and sounds of the different frogs. I'm not sure how they chose these particular frog species, but look to be mostly Eastern and Mid-Western North America. I don't have an Android so I can't vouch for this app. If you happen to use it please let me know what you think. The Cleveland Museum of Natural History has a great resource of frog calls on their website, and each species comes with individual calls, excerpts of calls, and some have a chorus of calls. I found it somewhat tedious waiting for each to upload to my media player, but if you're only targeting certain species it's no too bad. A Field guide to Reptiles and Amphibians: Eastern and Central North America (Peterson Field Guides). Joseph T. Collins Et. Al. ($14). 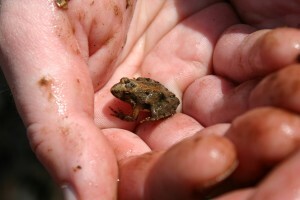 USGS North American Amphibian Monitoring Project (NAAMP). This website is the landing page of where I directed you earlier to take the frog training quizzes and to find sounds. There are chapters across all of North America looking for volunteers to help collect data about amphibian populations. Project Frog Watch is the American Association of Zoos and Aquariums "flagship" citizen science project that spans the entire US. You can check out their website to find chapters near you that are monitoring amphibian populations. There's even one in Washington DC! Click here to find a list of all the chapters. 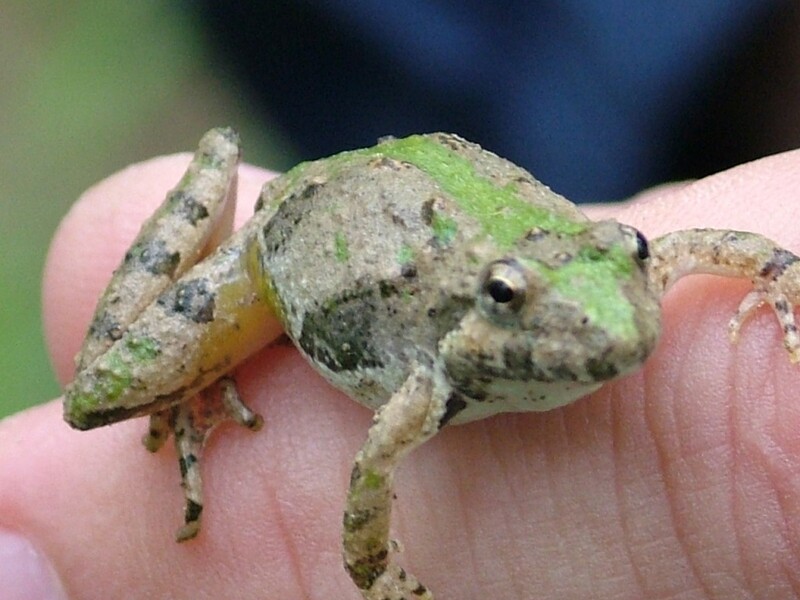 The Frog Listening Network is a citizen science project that is in Florida, however it's web-page has some great training resources for learning frog natural history and calls. There are also many local organizations in each state that collect reptile and amphibian data. In my state, Maryland, we have the Maryland Reptile and Amphibian Atlas, which is run by the Department of Natural Resources. Google your state and see what you can find. Now that you have the resources it's time to put those ear buds in, begin reviewing your frog calls while it's still cold and snowy, and get ready to get out there when the weather turns warmer. Please consider volunteering some time to the organizations listed above. Some only ask for 3 minutes a night twice a week! You can help contribute with your new-found skills. Posted in Frogs, Naturalist Classes and Continued Learning, Reptiles and Amphibians and tagged Frog calls, Frog sounds, Learning frog calls on March 4, 2014 by Infinite Spider.